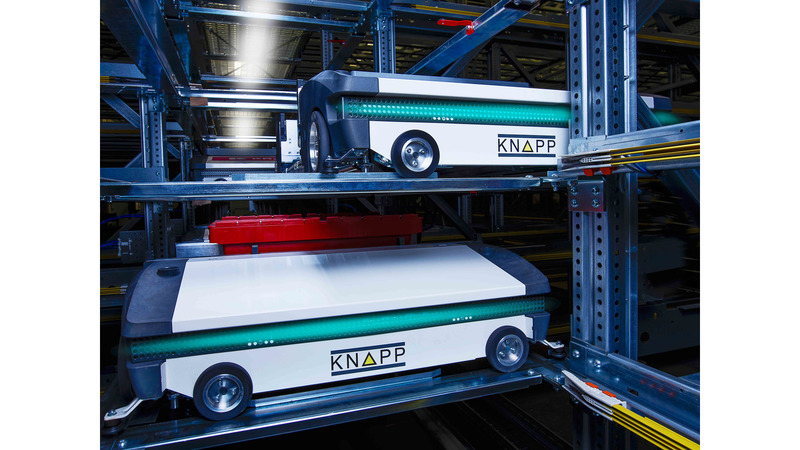 Evolution does not happen overnight, but as a pioneer in the field of shuttle technology with over 15 years of innovation, experience and market expertise in shuttle systems, KNAPP has succeeded in making an evolutionary leap into the future of warehouse logistics. The OSR Shuttle Evo combines all the best features from the world of shuttles. Regardless of how the markets and industries develop over the coming years, the OSR Shuttle Evo is the perfect partner to meet the requirements. It can be flexibly expanded - tailored to investment and individual demands. In terms of design, the OSR Shuttle Evo has a new and distinctive style. Premium components and an intelligent design merge within minimal space to form a highly dynamic technical masterpiece that provides maximum productivity. KNAPP also pursues sustainability across the entire line - from product design, ergonomics and supplier selection all the way to life cycle management. The OSR Shuttle Evo integrates all the functions of classic shuttle systems to give the highest throughput and storage density on the market. New processes such as storage, picking, buffering, sequencing or replenishment can be integrated with ease. Every shuttle can reach all of the storage locations and container lifts on their storage level, allowing the system to provide precise sequencing. As a result, the OSR Shuttle Evo perfectly supports the development of new sectors as well as omni-channel distribution. Besides optimum system interconnection based on the warehouse software KiSoft or SAP® EWM by KNAPP as part of an SAP strategy, the OSR Shuttle Evo guarantees security, quality and service for the entire system lifecycle.